This article was written to help senior veterans and their surviving spouses applying for VA Pension or Death Pension understand the process of establishing an Effective Date with the Department of Veterans Affairs (VA). This article also explains how an "Intent to File" (formerly know as an Informal Claim) works and how VA may grant retroactive payment if certain criteria are met. Furthermore, this article highlights serious issues involving the filing of an"Intent to File" before a claimant (applying for pension or death pension) has met the medical, asset, and income standards set by VA.
An Effective Date is typically the date an application (or original claim) for VA Pension or Death Pension was received by the Department of Veterans Affairs (VA). In some cases (which may be beneficial to the claimant) there are exceptions to this rule which can allow for an earlier date. (see 38 U.S.C.S. §5110 and 38 C.F.R. §3.400). A qualifying 88 year old single veteran filed a claim for VA Pension with the Aid and Attendance Allowance in March and an award was granted 5 months later. The VA will begin paying the veteran in October and will grant a lump sum retroactive payment for the months of April through September. In the situation above, notice that the lump sum retroactive payment did not include the month of March when the veteran made application. Although the effective date was established in March, the VA will not make any kind of payment in the month in which the original claim was received. 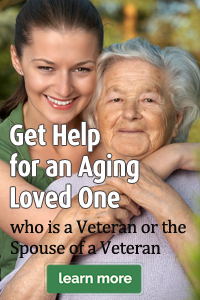 In February, a qualifying 79 year old surviving spouse of a veteran wishes to apply for VA Death Pension but cannot find her husband's DD 214 nor has she scheduled an appointment with her physician to complete the VBA Form 21-2680. Locating the DD 214 and visiting her doctor will likely take her 5 - 8 weeks to accomplish. February is about to end and she does not want to lose the opportunity to establish an effective date. Therefore, she sends an "Intent to File" VBA Form 21-0966 to the VA. Finally, in April, after obtaining the DD 214, visiting her physician, and completing the rest of her application, she files a claim for Death Pension, which is subsequently awarded in November. The VA will begin paying her in December and grant a lump sum retroactive payment for the months of March through November. In the situation above, had the surviving spouse not submitted VBA Form 21-0966, her Effective Date would have been April rather than February (she would have missed the retroactive payments for the months of March and April). Remember, VA will not make any kind of payment in the month in which the claim, or in this case the "Intent to File", was received. SPECIFICS OF AN "INTENT TO FILE"
(i) Saved electronic application. When an application otherwise meeting the requirements of this paragraph (b) is electronically initiated and saved in a claims-submission tool within a VA web-based electronic claims application system prior to filing of a complete claim, VA will consider that application to be an intent to file a claim. (ii) Written intent on prescribed intent to file a claim form. The submission to an agency of original jurisdiction of a signed and dated intent to file a claim, on the form prescribed by the Secretary for that purpose, will be accepted as an intent to file a claim. (iii) Oral intent communicated to designated VA personnel and recorded in writing. An oral statement of intent to file a claim will be accepted if it is directed to a VA employee designated to receive such a communication, the VA employee receiving this information follows the provisions set forth in § 3.217(b), and the VA employee documents the date VA received the claimant's intent to file a claim in the claimant's records. …identify the general benefit (e.g., compensation, pension), but need not identify the specific benefit claimed or any medical condition(s) on which the claim is based. Once VA receives the "Intent to File" (we recommend by faxing to 844-655-1604), they might respond to the claimant by sending a formal application (VBA Form 21-527EZ or VBA Form 21-534EZ). This form must be completed within one year from the date when the "Intent to File" was submitted. If the claimant does not submit the "Intent to File" by the one-year deadline, the effective date established by the "Intent to File" will no longer be valid. REMEMBER: Always keep of copy of anything you send to VA and all proof of any transmition or mailing (e.g. fax report or certified mail). If the applicant meets the medical requirement for a rating, is receiving aid and attendance services and can demonstrate having paid at least one month's worth of those services and in addition meets the war service test, and meets the asset test and the income test, you should file an "Intent to File" as soon as possible. This will establish an effective date with VA. If you do not meet all of this, ABSOLUTELY DO NOT FILE an "Intent to File." Occasionally (much to the chagrin of the claimant) expectations regarding an Effective Date are dashed due to misinformation or a lack of understanding. Below are a few examples of instances where a claimant was expecting retroactive pay back but did not receive what was expected. An 83 year old single veteran's gross monthly income is $2,000. He lives at home and, due to his poor health, he requires help with bathing, dressing, walking around his home, and feeding himself. He submits VBA Form 21-0966 to VA in January then applies for Pension in April. A few days before he completed his application, he hired a home care company to cook and feed him healthy meals, help him bathe, dress, and move around the house. For this service he pays $1,400.00/month. He includes this cost on his application. In July, VA awards him the benefit but does not grant a retroactive payment for the months of February and March because, during that time, the veteran's income exceeded the income limits (i.e. he did not have any an ongoing care cost) to reduce his income sufficiently. An 85 year old single veteran is moving into an assisted living facility and learns that he is eligible for $1,881/month through VA Pension with Aid and Attendance. His savings have vanished and his income will not adequately cover the care costs. Unfortunately, the veteran needs extra money immediately to pay for his care as realizes that VA may take several months to award him the benefit. He is told by the facility that VA will ‘back pay' and subsequently takes out a loan to cover his costs for the months he is waiting for VA to make a decision. All within the same month, the veteran moves into the facility, takes out a loan, files an "Intent to File", and sends his formal claim to the VA. Four months later, VA awards him the benefit but only grants a retroactive lump sum payment for three months. The three month lump sum payment is not large enough to pay back the loan and now, due to the misinformation given to the veteran regarding the ‘back pay', he is now unable to meet his loan obligation. Had the veteran known that payments for a VA Claim are effective from the first of the month following the month in which the claim (or "Intent to File") was received he could have made a better choice regarding the loan. On rare occasions, establishing an Effective Date can be detrimental to the success of the application. Below is an example where a claimant filed an "Intent to File" and was disqualified because of it. An 84 year old surviving spouse of a veteran lives in an assisted living facility and wants to apply for Death Pension with the Aid and Attendance Allowance. She has $200,000 in assets. Her attorney tells her to file an "Intent to File" which she does to "lock in a date." While processing her application, VA learns she is over assets and denies her claim. They tell her she has enough assets to pay for her assisted living. She may re-apply once she has spent down to allowable levels and provided VA with an accounting of the spend down.